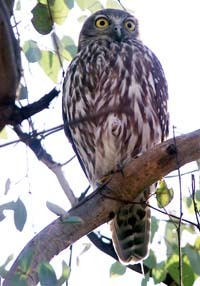 Just before dawn this morning we were woken by the call of a Barking Owl. It was perched in a Bean tree overhanging our bivvy. The unmistakable ‘woof woof’ began gently but when a second one returned the call the ‘woof woof’ intensified to a crescendo. I thought to myself what better way to be aroused from slumber than by a call from the bush; why hasn’t someone programmed the electronic alarm clocks with early morning bird calls rather than the artificial computerised sounds. If such alarm clocks were developed they would be a great hit with birdos and nature lovers. Our alarm clocks continued with ‘woof woof’ until sunrise then they flew off to a daytime roost down the Cooper somewhere. In the bird-watching world a birdo is someone who takes a keen interest in birds, a birdwatcher is someone who dons dark glasses and goes to Bondi beach and watches girls, a bird fancier breeds exotic chooks for exhibition at the Royal Easter Show, an ornithologist is a person with a deep scientific interest in birds and a twitcher or birder is a fanatic, hell bent on getting as many bird sightings as possible entered into their life’s list. There are about 10 000 bird species in the world and there is an Englishman who has sighted around 8 800 of them, a mammoth achievement! Early start today thanks to ‘woof woof’. 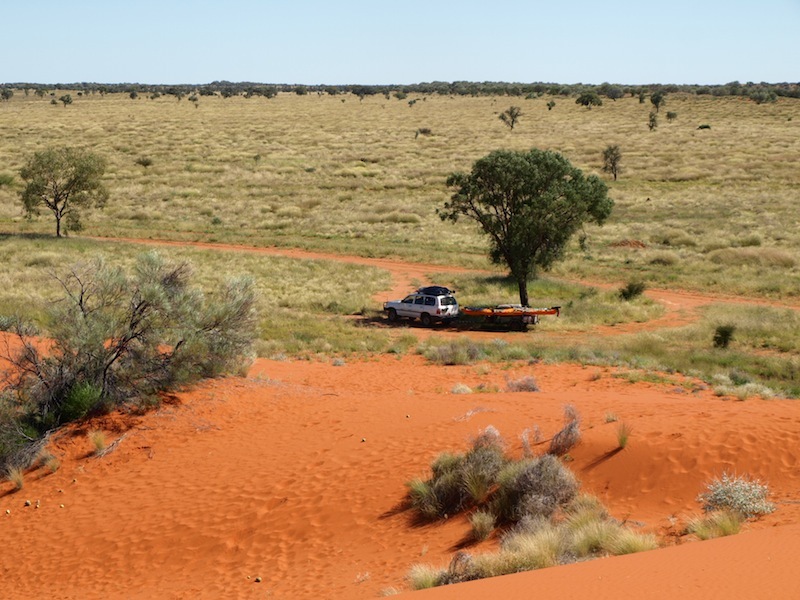 Our first stop was in Windorah to top up with fuel and then on to Sandy Kidd’s property to climb the reddest sandhills to be found anywhere in Australia. The deeper the red indicates the sand has been blown from a far off source. The longer the sand remains in transit, the darker and redder it becomes as a result of oxidisation and the release of iron oxide from clay within the sand grains. How green is this country?! It looked like paddocks of lucerne, an unusual sight for this country. The drive from Windorah to Birdsville takes a day because even though we have driven the route many times we can’t resist stopping to renew contact with the vastness of the landscape. 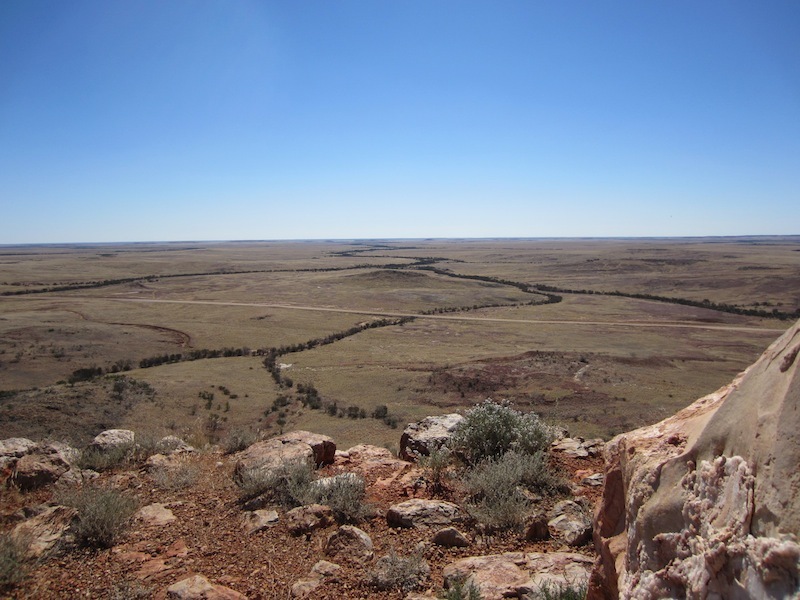 One place to see this is from the top of a mesa west of Windorah. During our Backtrack touring days we took a seventeen tonne coach with passengers to the top of the mesa. There was no graded track then, just a set of wheel tracks but our driver saw the climb as a challenge and insisted on taking the coach to the top. 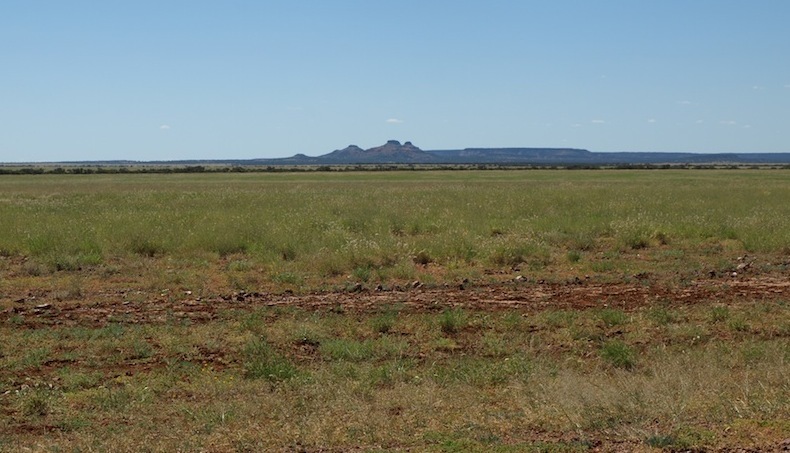 When we first started travelling the road from Windorah to Birdsville there was no official lookout but now the road is graded and a shelter shed and an environmentally friendly dunny dominate the skyline. I think I prefer it as it was in its natural state. At the top a memorial has been built to commemorate the life of the late Deon Brooks, the son of a local landowner, killed in a helicopter accident nearby. Bev and I slept on top of the mesa one night, a remarkable experience with a 360 degree view of the embracing heavens. We felt like we were on a journey with Doctor Who in the Tardis. Our night on the lookout was very commodious until a gale blew up and we were almost blown to the desert below. 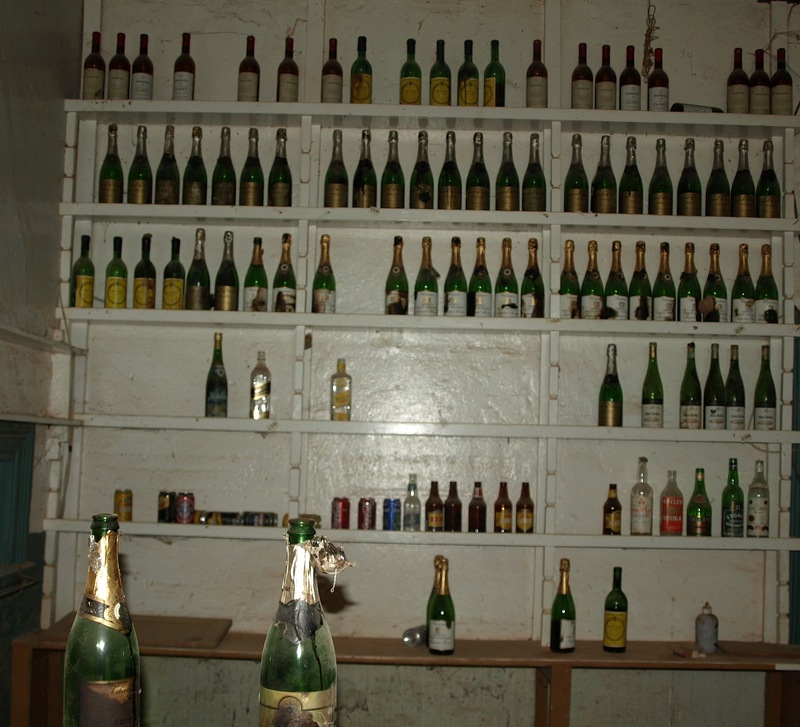 Two hundred and twenty seven kilometres west of Windorah is the remote abandoned Betoota Hotel. The hotel started out as a Cobb and Co changing station and a border town hang out. Small towns like Betoota sprang up near state borders because in the late1800s, travellers crossing the border were required to pay duty on goods being transhipped from state to state. So ridiculous were the laws that those going from one state to another even had to pay duty on the tobacco in their pouch and ladies paid duty on their cosmetics. After federation states no longer raised money via the collection of duties. The Commonwealth Government did the collecting and re-distributed monies to the states. 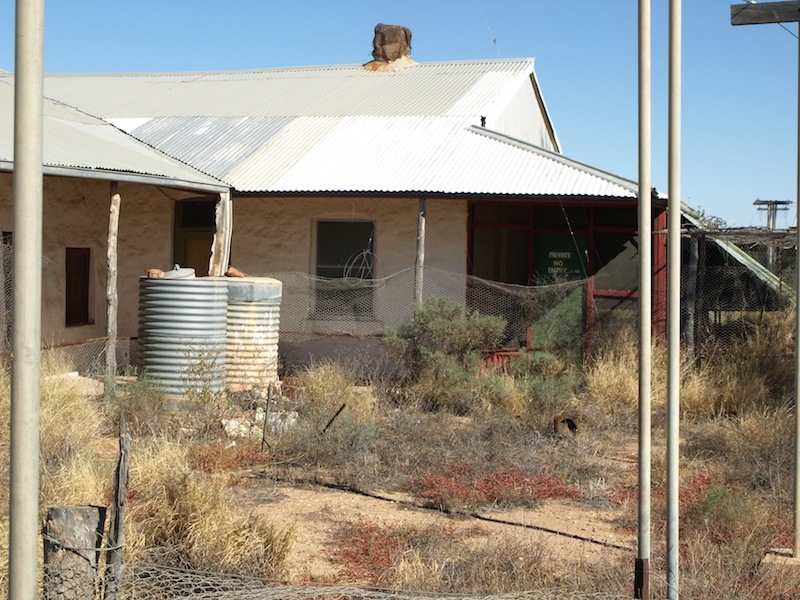 The only buildings in Betoota now are the abandoned pub and its outbuildings. In our touring days the late Simon Remienko, a WW2 Polish refugee, owned the pub and stopping to talk with him was a highlight. At the time, Simon was retired saying he was too old so the pub was not operating. He had virtually shut shop in 1997 and become a recluse. However I managed to get him to open the doors so our clients could buy leftover souvenirs; everything was $5. It took some time to get to know him as he was like many WW2 victims of Nazi persecution, suspicious of those wanting to know more about his life. Simon began his life in the outback as a truck driver for the local shire, eventually bought his own truck and did contract work. He saved sufficient money to buy the Betoota pub, which he ran for 44 years. I had a soft spot for Simon and as we passed through I would give him little luxuries like reading material. On one visit I saw him reading with a magnifying glass so on the next trip we donated him a pair of glasses. As I got to know him better he opened up about his life and one day he took me to his bedroom to show me a cake he was given for his 80th birthday. It was a fruit cake coated with thick icing similar to a wedding cake and a mouse had burrowed into the cake and eaten the entire inside. On shelves he had an extensive collection of WW2 videos depicting the demise of the Nazi war machine. 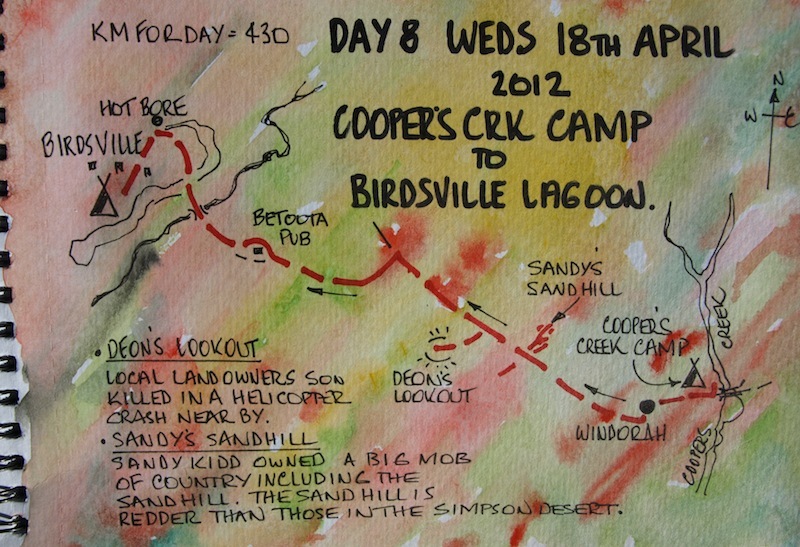 Simon fell ill and was shipped off to Charleville for a while and after recovery he moved to Birdsvile. The last time I saw him was when I shouted him a beer in the Birdsvillle Hotel. The walls are stucco random rubble stone and almost a metre thick, very beneficial in such a hot arid climate, but in some rooms there is no ceiling, just the exposed underside of the corrugated iron roof. Betoota is now even more remote as a road bypass has been built so one has to make a special trip to be able to experience this unusual ghost town. However Betoota does live on for the locals with a gymkhana after Easter and horse races that follow on from the Birdsville Races in September. 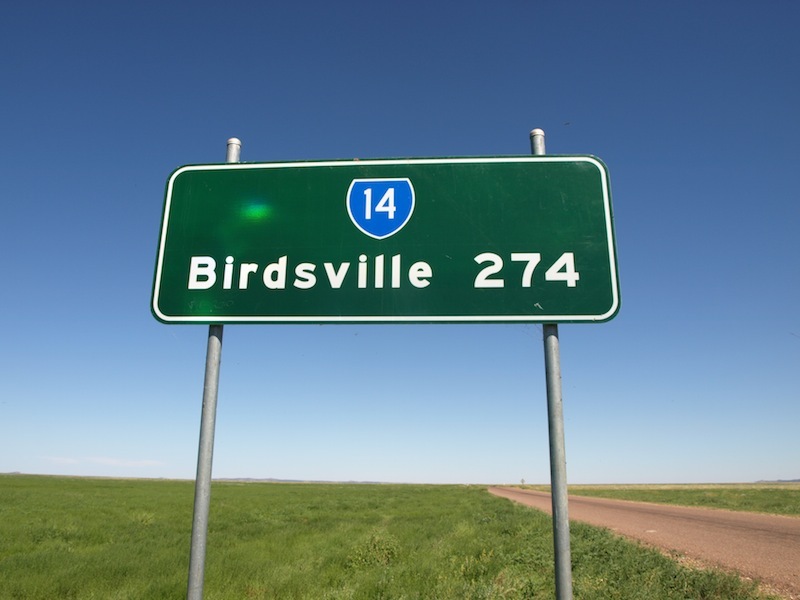 The first feature you see on the outskirts of Birdsville is the racecourse where the Birdsville races are held every September. Thousands of people descend on the town. There is an exceptional amount of alcohol consumed and a lot of money changes hands at the races. The Birdsville Hotel is transformed for the week. Benches usually attached to the walls are removed along with toilet doors and wall hangings lest they get damaged or stolen. It seems that everything not bolted down disappears at the hands of the souvenir hunters. Hundreds of light aircraft arrive from all points of the compass and pilots and their passengers sleep under the wings of the aircraft. Hundreds of 4WD enthusiasts beat up the Birdsville Track and set up camps in and out of Birdsville and coach loads of visitors are delivered to the caravan park. At the racetrack, serious city bookmakers take bets and one year when we attended the races there were jockeys from Japan and Hong Kong. Being able to say you rode at the Birdsville Races carries some weight. The racetrack can be a dusty place, especially when a willy willy sweeps through but the punters don’t seem to mind, it’s all part of the experience. 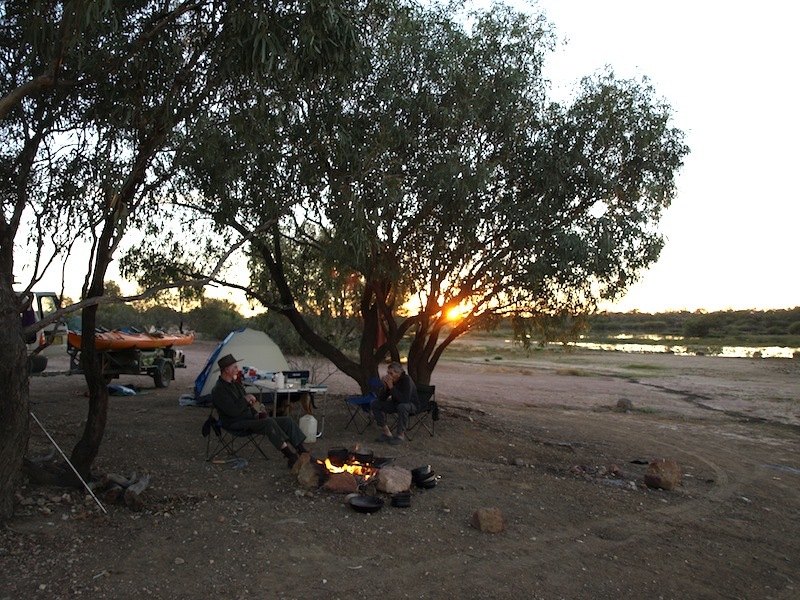 There is only one caravan park in Birdsville and unless you want to camp in the desert or along the Diamantina River you have no alternative but to take a site. Tonight we are camped by the edge of the lagoon that fronts the southern edge of the camping area. Gday F&B, Have enjoyed travelling with you so far. Each camp has been 10 out of 10. for us as the electric blanket at our feet make going to bed luxury. Waiting for the next. Happy travelling. Ann & Ian.